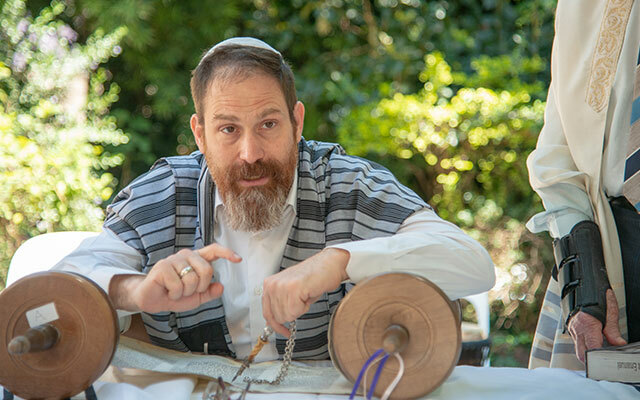 in his fifth year as our congregational rabbi, Israeli-born Rabbi Saar Shaked has made a powerful impression on both young and old with his passion, his informal style and his interaction with the congregation. Lively, up to date, accessible Judaism. Judaism that is pluralistic, abundant and attentive. Judaism that has profound connection to ancient tradition without relinquishing innovation and creativity. Judaism of truth, of moderation, of good will. Spiritual leadership of a progressive synagogue in an urban community, holding services and sermons, developing and implementing community & social justice projects, performing family rituals, life circle rituals and other ceremonies, teaching various crowds, works together with local lay leadership, municipality and fellow NGO’s. Spiritual leadership of a progressive synagogue in an urban community, holding services and sermons, developing and implementing community & social justiceprojects, performing family rituals, life circle rituals and other ceremonies, teaching various crowds, works together with local lay leadership, municipality and fellow NGO’s. Day to day management of an interfaith reconciliation organization, facilitating a community of volunteers and friends, facilitating interfaith youth programs, active fundraising and donor liaison, organizing budgets and bookkeeping, constant updating and shaping the web site, networking with local and worldwide colleagues.